Writing Construction Week: A Classroom Transformation! 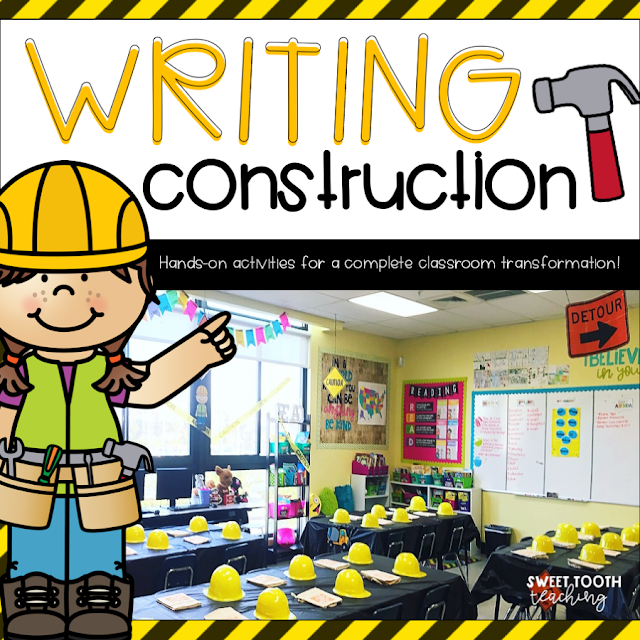 If you know me, you know how much I love classroom transformations! Yes, I know they are a lot of work to prep for. 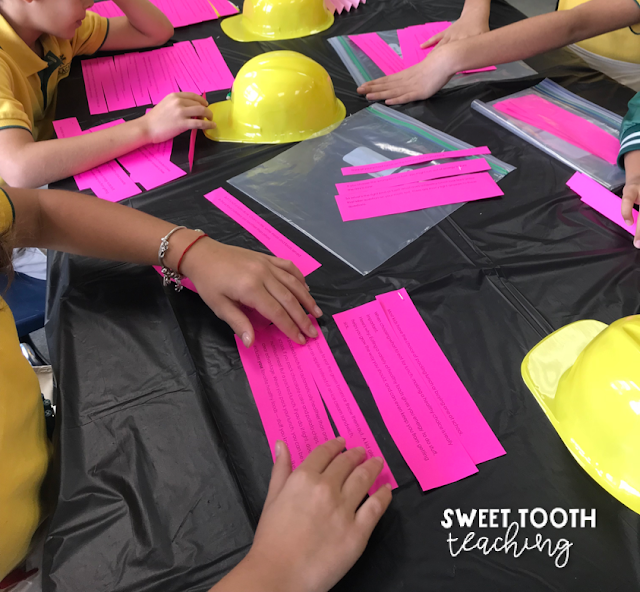 No, I don't do a classroom transformation every week. However, they are truly a magical experience for our kiddos! All the hard work that goes into prepping for one is TOTALLY worth it at the end of the day. 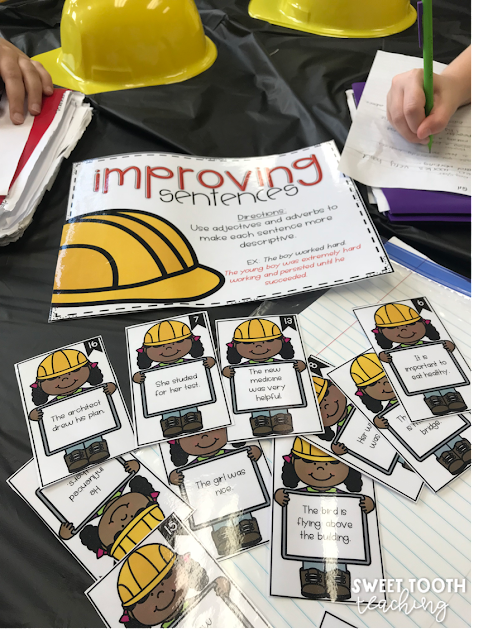 When I do a classroom transformation, I make sure i'm focusing on a skill or strategy that is difficult for my kiddos to grasp. The key to a transformation is engagement in rigorous content. This year my kiddos were extremely overwhelmed with the upcoming state writing assessment. 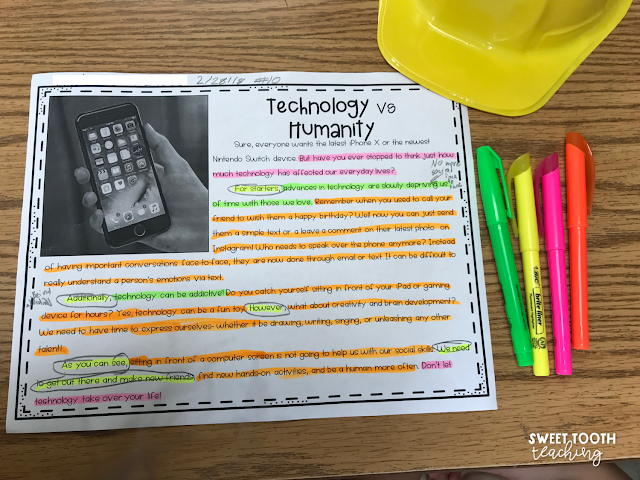 (FSA) We had been reviewing the components of an essay, using transition words, editing, etc. for a WHILE and let's just say we were loosing our minds. 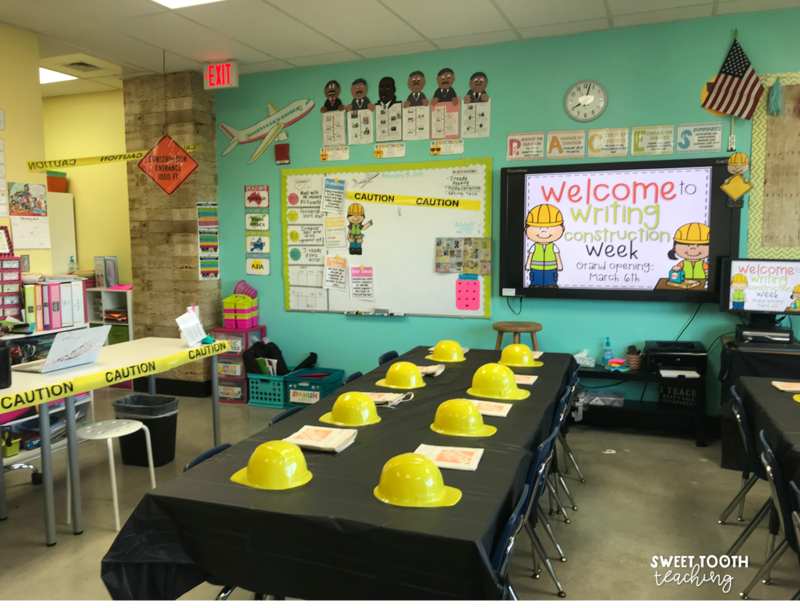 So, I decided to engage them with a surprise "Construction Writing Week"
Ya'll, a transformation doesn't have to be over the top! I didn't spend much to flip this room and my fourth graders were beyond excited when they walked in. I split up the class into four groups. Each group worked at a different station for about 30-45 minutes. We spent the entire week on this unit since some of the activities did take some time. Once a group completed a station and I checked their work, they were able to move on to the next station. The 'Transitioning Through Writing' station focused on incorporating transition words. The kiddos had to read the passage and decide which transition words fit best in each sentence. This was definitely the most challenging, yet exciting station for them! 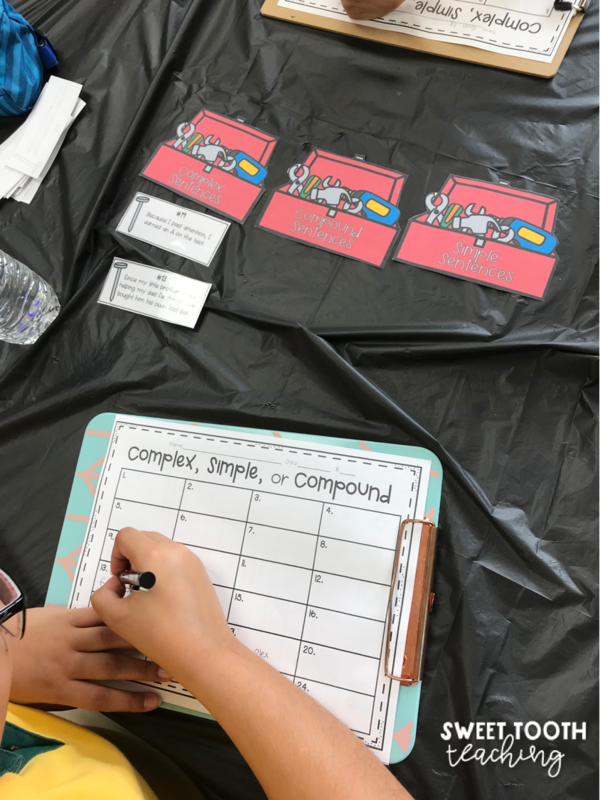 We worked on our grammar skills to sort complex, simple, and compound sentences. 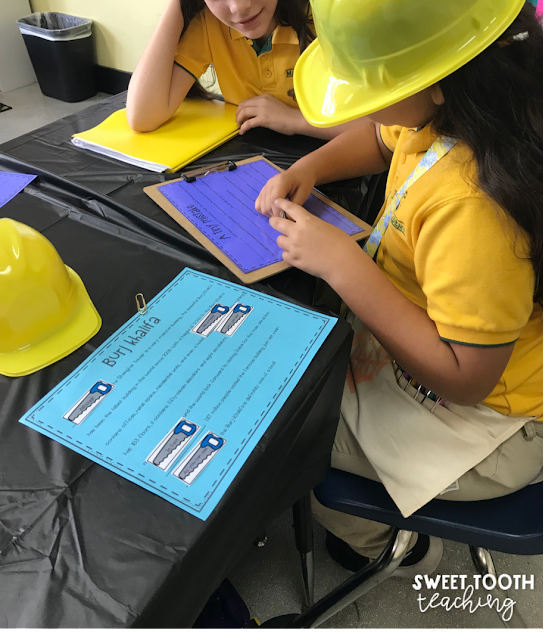 This station required them to break apart the text to identify the topic sentence, key ideas, supporting details, and transition words. 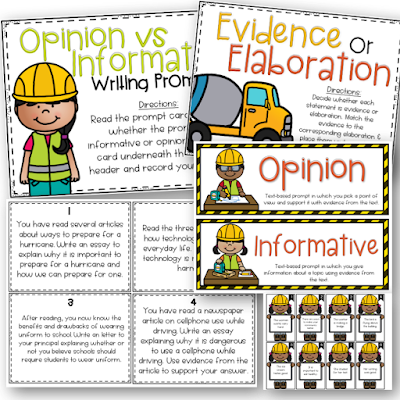 Once kids are able to find these components in a passage, they're able to understand why it's so important to include these in their own writing. Time to spice up some sentences! We added adjectives and elaborated on the 'simple' sentences written on each card. The "Piece is Together" station focused on putting an essay together like a puzzle. Let's just say this required LOTS of teamwork. 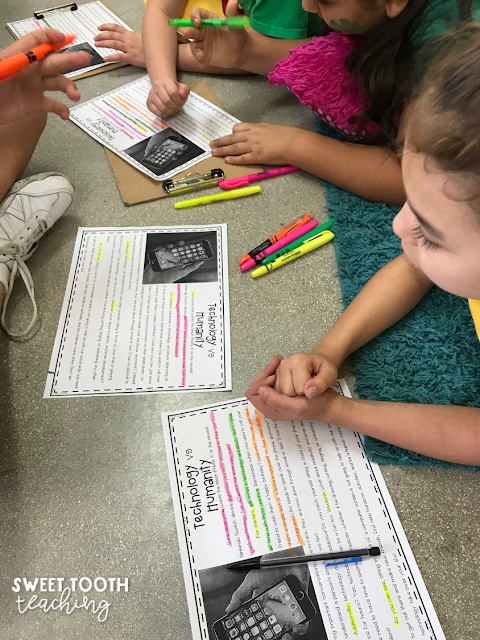 😉 We identified the important components of an essay such as: introduction, key ideas, and conclusion. We had over 12 stations/activities throughout the course of the week. 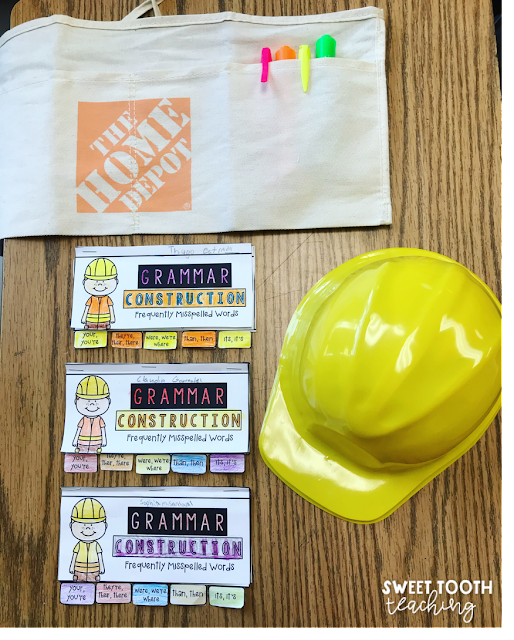 Writing Construction week was definitely a success and the perfect engagement right before state testing! 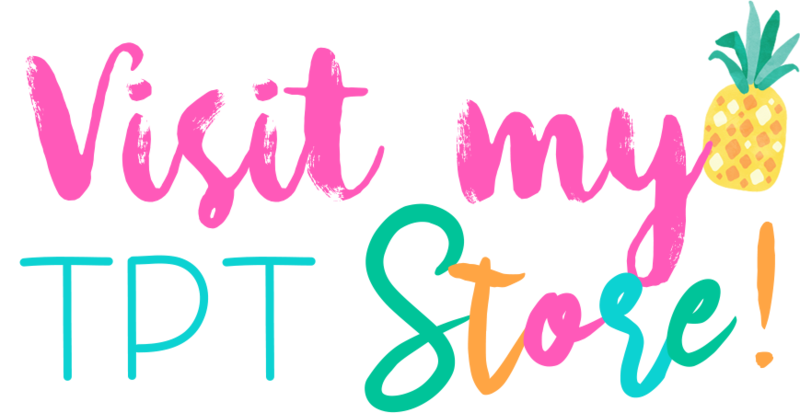 You can grab this pack in my TPT Store if you're interested in transforming your room.